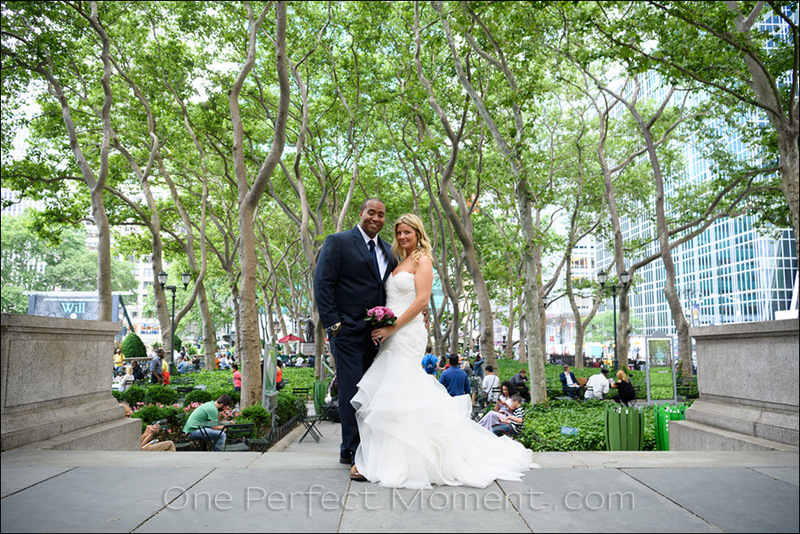 With New York elopement weddings, it is of course not just about the ceremony, there is the entire adventure of being in New York. 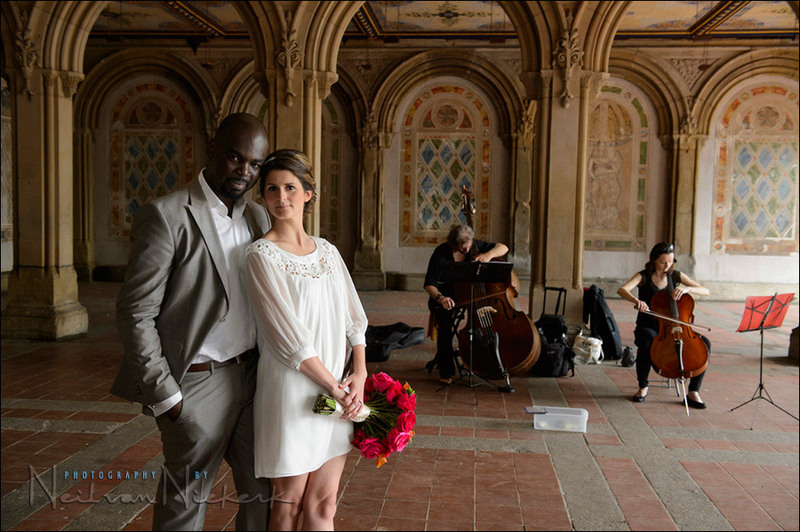 We will take portraits around the location where the wedding ceremony takes place – Central Park or City Hall – and then about three other locations, depending on what we map out. Of course we want to hit some of the scenic landmarks that is New York. 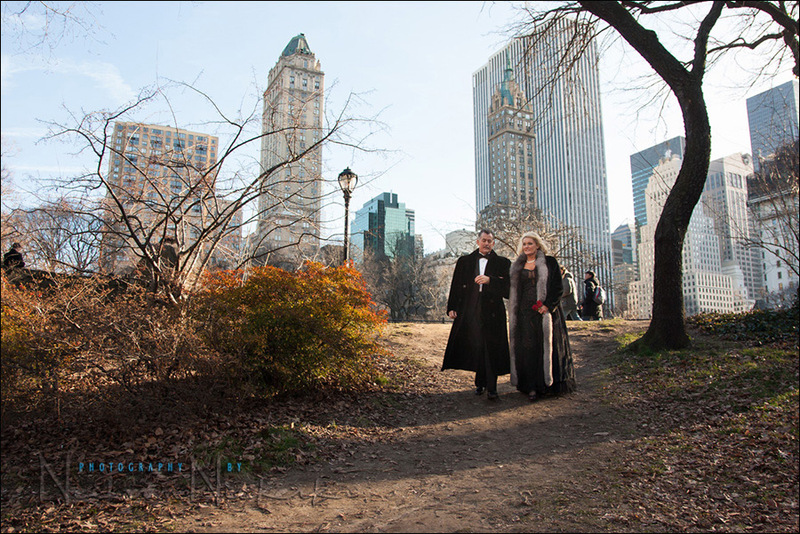 This photo session takes about 3 hours, including the ceremony which is usually fairly short. Then we go out on the streets and have fun! Session Fee: $950 for the 3 hour photo session. If you would like a shorter photo session of 2 hours, the fee is $750. For an extended photo shoot, additional hours are billed at $200 per hour. This fee includes an online gallery of a minimum of 100 selected images, and those images as high-resolution files. This will also include a folder with web-sized images, ready for use. I do offer additional extras, such as prints, custom-designed albums and coffee table books, or greeting cards, as well as large wall prints & canvases. 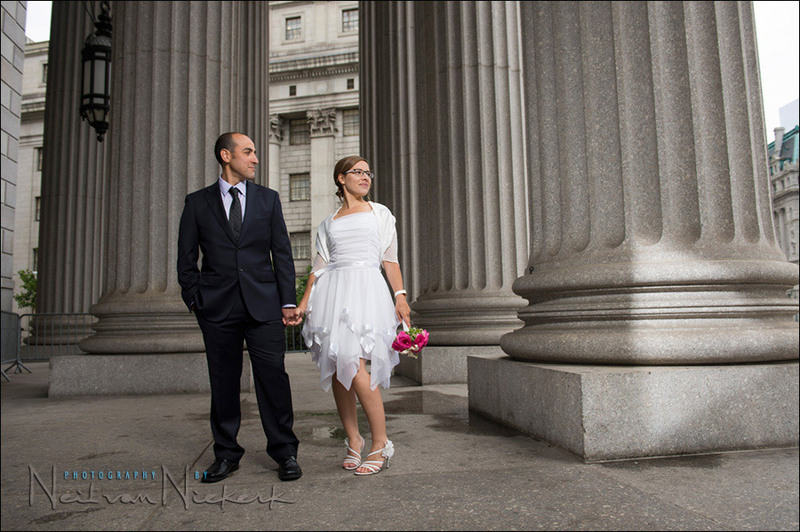 Please note, the we might spend waiting for the officiant at City Hall for example, is not part of the photo session. So there’s no fretting that time is running out while we wait for them. The photo session starts with the ceremony! We will work out a suitable route for us to travel in New York to visit a few of your favored NYC spots. Or, if you are new to New York, I can help you work out an itinerary for the photographs. Please contact me for more details or to clarify items.